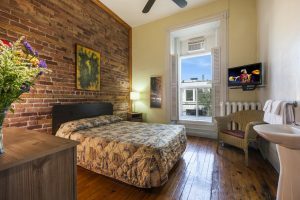 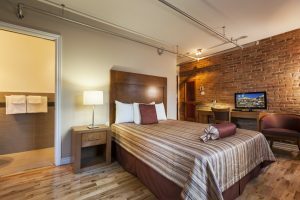 Abri du Voyageur is a Montreal budget hotel with a boutique style located in downtown Montreal, in the heart of the Entertainment District, the Quartier des Spectacles. 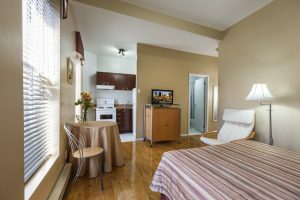 The hotel offers standard and superior rooms with private washrooms, budget rooms with shared washrooms and studio apartments with private washrooms and kitchenettes. 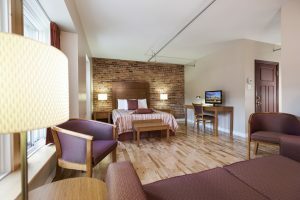 All our rooms and studios have air-conditioning, tv and free access to wireless internet. 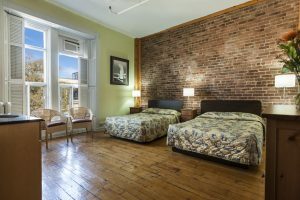 We are in walking distance of Montreal’s major tourist sites and international events: Place des Arts, La Vitrine ( the last minute ticket box office), Montreal’s world renowned festivals ( International Jazz Festival, Just for Laughs, FrancoFolies, Nights of Africa, World Film Festival), the Palais des Congrès ( Convention Center), Chinatown, the Old Port, the Underground City, the Latin Quarter and the Village.